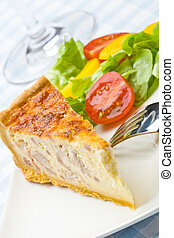 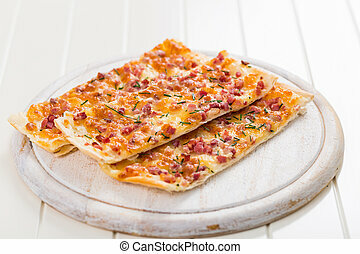 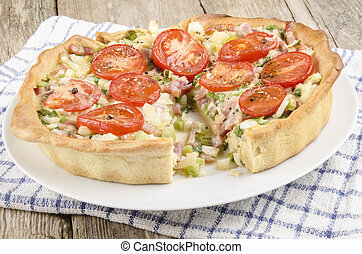 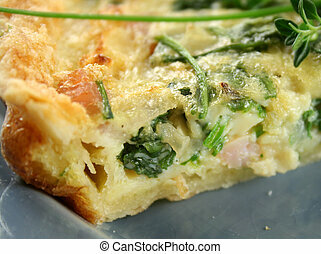 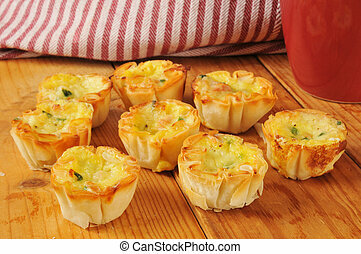 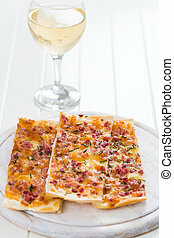 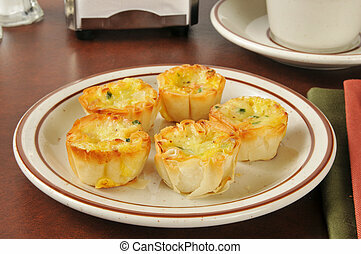 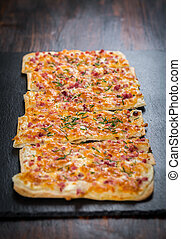 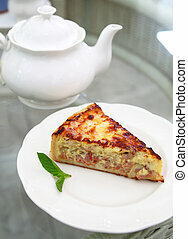 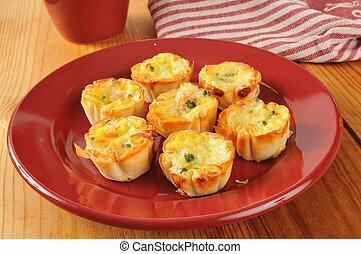 Bacon quiche. 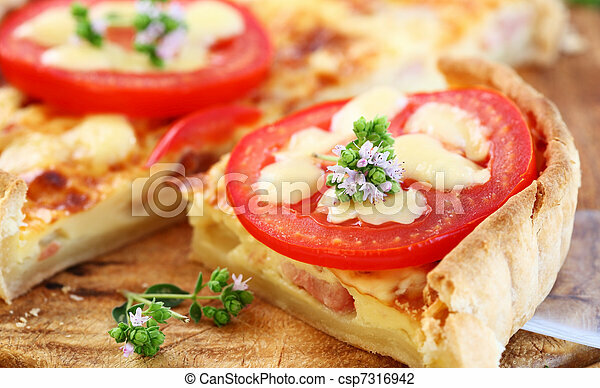 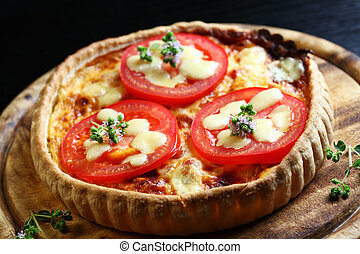 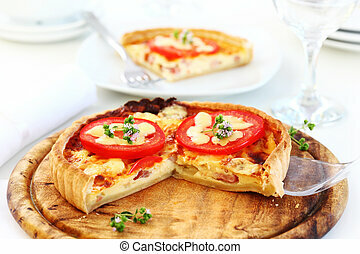 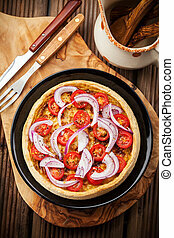 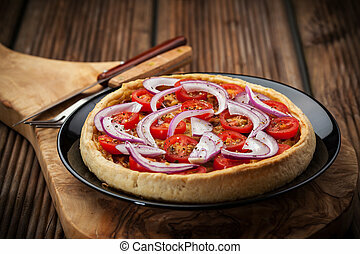 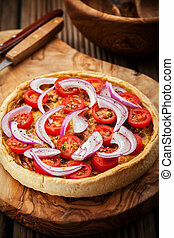 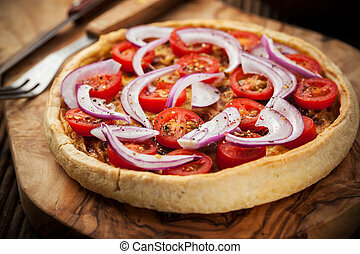 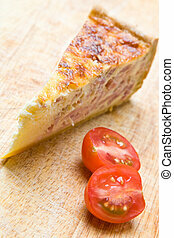 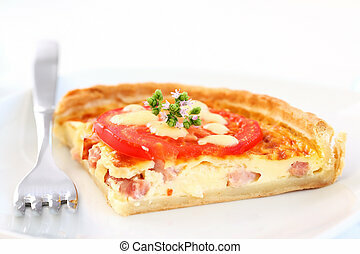 Tradition french bacon quiche with onion, tomato and cheese. 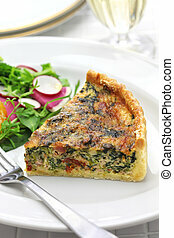 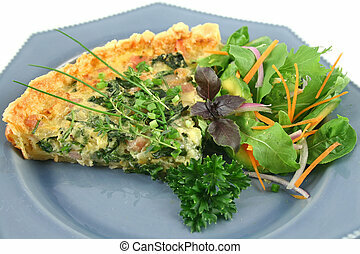 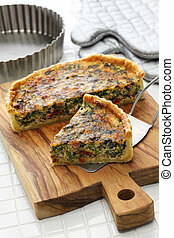 Sliced spinach and bacon quiche with a green salad. 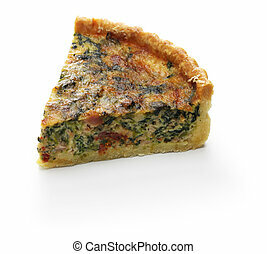 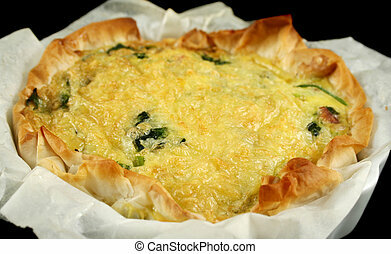 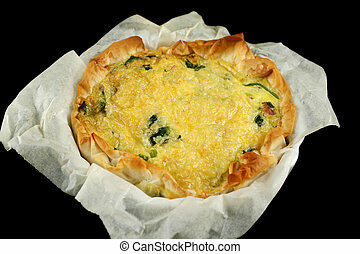 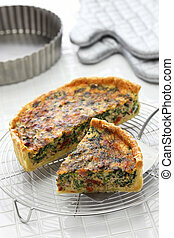 Freshly baked spinach and bacon quiche straight from the oven.